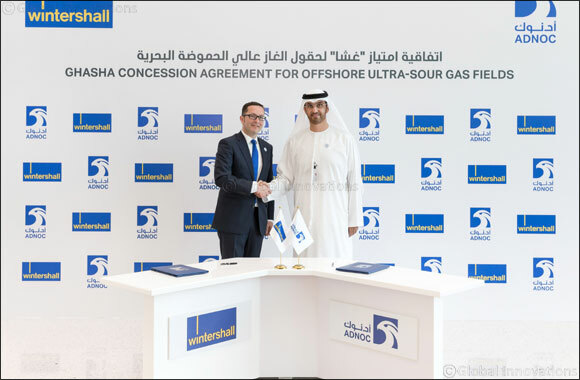 Abu Dhabi, United Arab Emirates – November 26, 2018: The Abu Dhabi Government and the Abu Dhabi National Oil Company (ADNOC) have added Wintershall Holding GmbH to the Ghasha ultra-sour gas mega-project with a 10 percent stake. The Ghasha concession consists of the Hail, Ghasha, Dalma and other offshore sour gas fields, including Nasr, SARB and Mubarraz. Wintershall will contribute 10 percent of the project capital and operational development expenses.